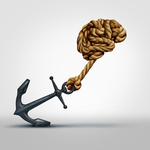 Drug Alcohol Treatment Center Orange County - Blog: Can We Change How the Brain Responds to Triggers? Can We Change How the Brain Responds to Triggers? Addiction can manifest in a number of different ways, and while it could be argued that some forms are more insidious than others—they all can severely impact the qualities of one's life. Those in the field of addiction have long known that addiction is a brain disease, a researcher's work day in and day out to get a better grasp of the nature of mental illness. The more we know about addiction, the better equipped those who work in the field are to develop and implement effective treatments. While many people who suffer from drug and alcohol addiction have a hard time understanding other forms of addiction, such as eating disorders or gambling addiction, there is not much of a difference between the different forms of the disease and they are rooted in the same areas of the brain. In fact, how people are affected, or triggered, by external cues occurs in the same area of the brain for both eating disorders and substance use disorders. Scientists have located, with a strong certainty of exactness, the area of the mind that connects an external trigger to binge-eating or drug-seeking behavior, Medical News Today reports. Inhibiting certain cells in the pinpointed area deep in the brain resulted in diminished motivation and urgency to respond to triggers when using rat models. The implications of this research could result in the development of new methods for combating addictive behavior. The research was published in the journal Neuron. "External cues - anything from a glimpse of powder that looks like cocaine or the jingle of an ice cream truck - can trigger a relapse or binge eating,” said study lead author, Dr. Jocelyn M. Richard, a psychological and brain sciences researcher at Johns Hopkins University in Baltimore, MD. “Our findings show where in the brain this connection between environmental stimuli and the seeking of food or drugs is occurring." The area of the brain that the researchers are working with is known as the ventral pallidum (VP), the article reports. The VP is an assemblage of brain cell clusters found underneath the cerebral cortex. The research team was able to selectively turn off brain cells in the VP which resulted in abnormal responses to cues that would have normally caused a quick response to triggers. The findings could result in treatments that calm the response to triggers, potentially preventing a relapse.